Explore the award-winning agencies in London, creative and b2b digital agencies specialising in UX design, branding, web design and development, digital marketing and advertising, social media marketing and mobile app development services. 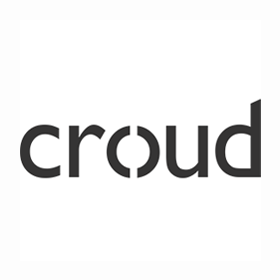 Crowd is a global creative agency with 12 offices worldwide. So wherever you are, Crowd will make a world of difference to your brand. Crowdform is a digital product and venture activation studio. They create innovative platforms, apps and websites for startups and global brands. Beyond is a design company. They accelerate transformative customer experiences using design and technology. Bulldog uses digital marketing to drive traffic, deliver leads and skyrocket sales. Because like you, they’re not interested in anything else. Leading creative digital agency offering an integrated approach across social media, digital marketing, design & video delivering brand & business impact for its clients. Impression is a multi-award winning digital agency, specialising in the delivery of high performance campaigns across SEO, PPC, digital PR, CRO and web design. Natural born problem solvers, Tangent is the digital agency that’ll help you realise your potential, reimagine your customer experience and reinvent your future – fast. 93digital are The London WordPress Agency, an award winning digital agency specialising in enterprise delivery of the most popular CMS in the world – WordPress. They’re a digital marketing agency, proud of their independence and dedicated to delivering value & growth to our diverse client base across owned, earned and paid media. They’re a customer-focused digital transformation agency building market-leading experiences for global brands. Catch is a digital experience agency, focussed on combining storytelling and technology to deliver value for a wide range of brands and organisations. Signal is a full service digital & CRM agency with over 200 people. They use data, code and creativity to help large organisations solve complex marketing problems. Chalk + Ward is a market-leading, branding and digital agency. They focus only on doing what’s absolutely right for the client and exceeding growth targets. Click Consult is a digital and search marketing agency offering SEO, PPC, CRO, social & content marketing. Click was named Search Agency of the Year 2018. Established in 2005, Cyber-Duck is a leading digital agency that delivers transformation, powered by an accredited user-centred design process, marketing and technology. Currently, Dept employs a team of 1,000 people. The agency unites creativity, technology and data to help clients reinvent and accelerate their digital reality. A full service Digital Agency specialising in providing strategy, Shopify builds and digital marketing to start up and fast growing digital businesses. Fifteen is an award winning, client focussed, results driven digital agency specialising in website design, website development, SEO, digital marketing and creative. Fifty Five and Five is a full service digital marketing agency based in London. They help companies communicate more effectively, reach new audiences & drive leads. hedgehog lab is a global technology consultancy that helps businesses with strategy, design and build of digital platforms. They specialise in mobile & digital innovation. Hex is a full-service digital agency. They combine creativity with a deep understanding of data and the digital landscape to deliver meaningful digital experiences. An award winning full service digital agency. Their core services include web design, digital marketing, graphics, branding, video and 3D visuals. Whether you need a new brand image or revamp. The key to making the project a success starts with having a well-thought-out creative brief. They are working for that. A new kind of digital agency. Kooba work with their customers to build compelling digital experiences focused on driving the metrics that matter to their business. Innovative. User Focused. Momentum specializes in human-centric, customer experiences from digital product innovation to transformative business processes. Ourselves funds, builds & scales digital ventures. Somewhere between an incubator, agency and VC, they offer a shortcut to market for ideas with proven potential. PACK offers start-ups & challenging brands a tailored package to master digital marketing and social media. They are your start-up digital team. Starting with the customer, they create compelling digital experiences. Their services include; digital strategy, website design and build, and digital marketing. Propeller is a full service digital agency with a team of 80+ digital agency specialists who are diligent project managers, UX experts and conversion masterminds. SHERPA has redefined the way in which customers help their customers interact and transact with them. They have a data driven approach to creating interfaces and UX. Somo deliver mobile transformation through rapid, actionable innovation. Their mission is to help you increase sales, customer engagement and productivity. Taylor+Goes is a London based creative, social media agency dedicated to building relationships between brands and audiences. The PHA Studio creates unforgettable visual experiences. Their areas of expertise span from website design and branding to creative digital assets and video production. The SEO Works are an award-winning provider of digital marketing & websites for prospering SMEs & leading brands. Their mission is to get clients more customers online. TH_NK is a new kind of digital agency. They are an independent team of strategists, engineers, creatives, scientists and designers. Thinking Juice is an Integrated Creative, Brand, Digital and Advertising Agency, with offices in Bournemouth and London. Virtual Solutions believe in providing clients and their customers with exceptional digital experiences across every touch-point. They are a family run business.